It’s never been easier to enjoy the irresistible flavours of Mexican cuisine thanks to this delicious one pan rice meal! These tasty Old El Paso™ Mexican rice meals are so easy to prepare – all you need is one pan and 20 minutes! 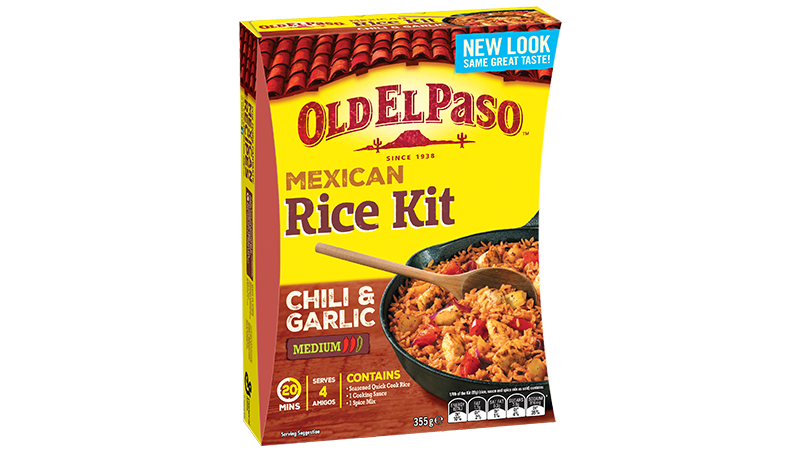 Old El Paso™ Chili and Garlic Mexican Rice Kits contain Seasoned Quick Cook Rice, Chili and Garlic Sauce and Mexican Spice Mix so you can share the fun and spirit of Mexico with this new twist on your favourite cuisine.